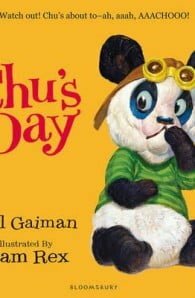 A gorgeous, funny, friendly picture book from the brand-new combo of dazzlingly award-laden Neil Gaiman and fabulously talented illustrator Adam Rex. Meet Chu. Chu is a small panda with a very big sneeze. When Chu sneezes, you REALLY don’t want to get in the way. 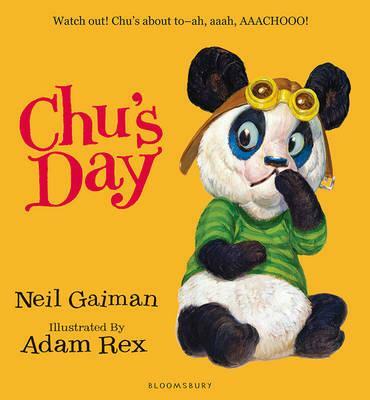 But a whole day of adventure will test Chu’s sneeze-resisting powers to the limit – there’s the library (dusty books! ), the diner (pepper! ), and then the circus (all those animals!). How big can a sneeze really be? Just wait and see . . .